The Hanbit Nuclear Power Complex has six operational units of three types. “Korean nuclear plants renamed,” World Nuclear News, May 21, 2013, www.world-nuclear-news.org. "Nuclear Power in South Korea," World Nuclear Association, 5 January 2011, www.world-nuclear.org; "Yeongwang Nuclear Power Generation," Korea Hydro & Nuclear Power, www.khnp.co.kr/youngkwg. Regis A. Matzie and Ki In Han, "The Evolutionary Development of Advanced Reactors," The Uranium Institute Twenty Third Annual International Symposium 1998, World Nuclear Association Symposium Proceedings, www.world-nuclear.org. "Yeongwang Nuclear Power Generation," Korea Hydro & Nuclear Power, www.khnp.co.kr/youngkwg; "Yonggwang, Republic of Korea," Power, April 1996, in Lexis-Nexis, web.lexis-nexis.com. An Seung-kyoo, "Evolution of Korea's Nuclear Reactor Designs," The Korea Herald, 19 March 2010, in Lexis-Nexis, web.lexis-nexis.com. "Nuclear Power in South Korea," World Nuclear Association, 5 January 2011, www.world-nuclear.org. "Nuclear Power Reactor Details - YONGGWANG-5," IAEA Power Reactor Information System (PRIS), www.iaea.org/dbpage; "Nuclear Power Reactor Details - YONGGWANG-6," IAEA Power Reactor Information System (PRIS), www.iaea.org/dbpage. “Nuclear Power in South Korea,” World Nuclear Association, July 2017, www.world-nuclear.org. "Nuclear Power Reactor Details - YONGGWANG-1," IAEA Power Reactor Information System (PRIS), www.iaea.org/dbpage. Shin Hochul and Ann MacLachlan, "Korean Strive for Self-Reliance in Nuclear Plant Construction," Nucleonics Week, 19 December 1985, p. 8, in Lexis-Nexis, web.lexis-nexis.com. See Hanbit-2 entry for further details. "Nuclear Power Reactor Details - YONGGWANG-2," IAEA Power Reactor Information System (PRIS), www.iaea.org/dbpage. "Nuclear Power Reactor Details - YONGGWANG-3," IAEA Power Reactor Information System (PRIS), www.iaea.org/dbpage. Wilson Dizard III, "KEPCO's Yonggwang-3 is Commercial as ABB-CE Gains $200-Million Pact," Nucleonics Week, 6 April 1995, p. 1, in Lexis-Nexis, web.lexis-nexis.com. "S. Korea Shuts Down Yonggwang Nuclear Power Plant Due to 'Malfunction'," Yonhap, 25 November 2003, in Lexis-Nexis, web.lexis-nexis.com. "Nuclear Power Reactor Details - YONGGWANG-4," IAEA Power Reactor Information System (PRIS), www.iaea.org/dbpage. "Nuclear Power Reactor Details - YONGGWANG-5," IAEA Power Reactor Information System (PRIS), www.iaea.org/dbpage. Yong Soo Sohn, Seung Ryung Jin, et al., "Power Plant Design: Yonggwang 5 & 6 NSSS Design improvements," Nuclear Engineering International, 31 March 2003, in Lexis-Nexis, web.lexis-nexis.com. 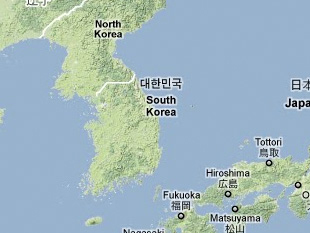 "Radioactive Leak Detected at Yonggwang Power Plant," Korea Times, 30 December 2003, in Lexis-Nexis, web.lexis-nexis.com. "Nuclear Power Reactor Details - YONGGWANG-6," IAEA Power Reactor Information System (PRIS), www.iaea.org/dbpage. See Hanbit-5 entry for further details. This article provides an overview of South Korea’s historical and current policies relating to nuclear, chemical, biological and missile proliferation.